With so much going on in our lives—at work and at home—it’s good to take a break for a laugh and a bit of relaxation. Savor the Comic, Unplug the Drama Day encourages people to get off the treadmill and treat themselves to their favorite fun activity! Private I was snoozing at his desk when 6 burst in saying he was being threatened by 7. Private I knew all about numbers—they were “always stuck in a problem.” He also knew that 7 was odd, so he asked 6 what was up. 6 said he’d heard 7 ate 9 and was now after him. The PI tried to explain about the usual order, but 6 wouldn’t hear it. Private I promised to “get to the root” of the story. First on his list of witnesses was 8. She knew nothing, but fearing she was next in line, she took off her belt and fled the scene disguised as 0. PI wanted to think things through, so he went to Café Uno for a piece of Pi. The waitress, B, had heard the rumors that 7 ate 9 and confirmed that 9 hadn’t been seen in a while. What was with all the deception? Why did 9 make up a story about 7? “‘Because 7 gets all the attention!” 9 wailed. “‘Lucky 7! Seven Wonders of the World! Snow White and the Seven Dwarfs!’” 9 also had plenty to say about 10, who thought he was so perfect. But Private I reminded his client that he had one of the best advantages around—nine lives! 9 saw the detective’s point. Tara Lazar’s hilarious mathematical mystery adds up to a perfect reading experience for kids who love clever word play, puns, and, of course, numbers! Lazar takes a classic joke and develops it into an ingenious story with twists and turns, red herrings, mistaken identities, and surprising revelations that will keep kids laughing from beginning to end. Ross MacDonald’s personified numbers and visual jokes will entertain both young and adult readers. From the name on the detective agency’s door—Al F. Bet—to the “x”-shaped street sign at the corner of 2nd and 4th where 8 is found to the piece of Pi at Café Uno, MacDonald has filled the pages with riffs on language and mathematics that will delight kids. The bright colors and vintage-style illustrations recall the age of the classic hard-boiled detective, giving the book a distinctive personality. 7 Ate 9: The Untold Story is witty and wild and would make a wonderful addition to any child’s home library. Discover more about Tara Lazar and her books on her website! Check out Ross MacDonald, his books, movie props, letterpress, and comics on his website! You can count on loving this 7 Ate 9: The Untold Story book trailer! Today is a perfect day to have some fun! 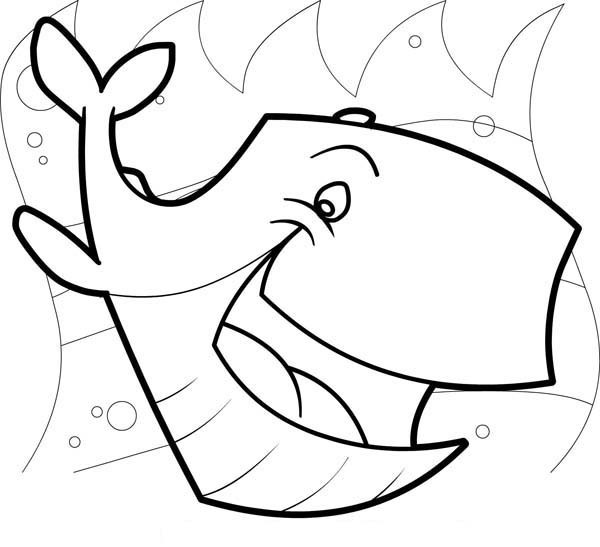 Grab your pencils or markers and enjoy this printable Whale of a Laugh Coloring Page.